October 9, 2010 - The National Air Transportation Association (NATA) announce that the California Legislature passed SB 856, a bill that, among its other provisions, will provide a delay in compliance, for flight training, with regulations issued by the California Bureau of Private Postsecondary Education (BPPE) pursuant to AB 48, Chapter 310, Statues of 2009. SB 856 is now headed to Governor Schwarzenegger’s desk for his signature. SB 856 creates a delay in compliance, retroactive from July 2010, until July 2011, for all flight training facilities and activities. 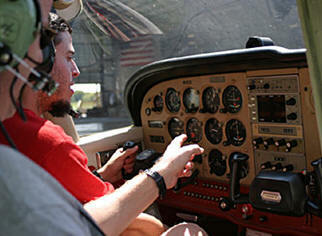 This bill’s passage is the result of a long effort by NATA, the flight training industry, and other associations including the Aircraft Owners and Pilots Association (AOPA) and, if signed by the governor, will allow the necessary time for the California Legislature to examine the appropriateness of incorporating flight training into the BPPE’s regulatory purview. AB 48 authorized the BPPE to regulate flight training for the first time without input from the industry. If signed by the governor, SB 856 will mark the beginning of an effort by NATA and others in the industry to educate legislators on the uniqueness of flight training and why it cannot be regulated like typical “brick and mortar” educational facilities. The National Air Transportation Association (NATA), the voice of aviation business, is the public policy group representing the interests of aviation businesses before Congress, federal agencies and state governments. NATA's 2,000 member companies own operate and service aircraft. These companies provide for the needs of the traveling public by offering services and products to aircraft operators and others such as fuel sales, aircraft maintenance, parts sales, storage, rental, airline servicing, flight training, Part 135 on-demand air charter, fractional aircraft program management and scheduled commuter operations in smaller aircraft. NATA members are a vital link in the aviation industry providing services to the general public, airlines, general aviation and the military. Today, NATA is widely known for its ability to lobby and track key legislative and regulatory issues, which have specific impact on the business operations of FBOs and air charter companies. The association maintains a constant vigil on common issues that threaten the livelihood of its members. The U.S. House of Representatives has recently passed a resolution recognizing the seventieth anniversary of the National Air Transportation Association (NATA). House Resolution 1669 highlights the association’s rich history and contributions to improving the safety of general aviation. Representative John Duncan (R-TN), a senior member of the House Committee on Transportation and Infrastructure Committee, Subcommittee on Aviation, introduced the resolution that acknowledges the association’s mission in representing the legislative, regulatory and business interests of its members and providing education, services, and benefits to its members to ensure their long-term economic success. “The resolution recognizes the foresight and resiliency of the association founders, William A. Ong and Leslie H. Bowman, NATA’s first two presidents, as well as the important contributions of George E. Haddaway and John L. Gaylord, who were instrumental in the organization’s formation,” stated NATA President James K. Coyne.